Exclusive! "Silent night, Holy night, All is Calm, All is Bright"! A beautiful sentiment, printed on rich red so quilt can be used year round. 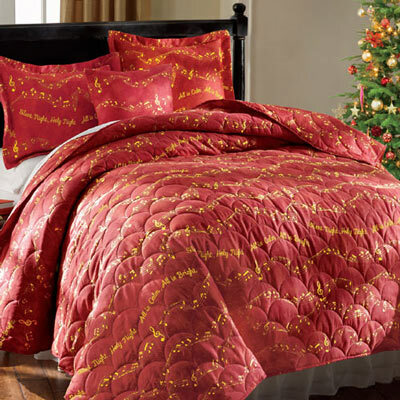 Our Silent Night Quilt Set & Accessories are extra-soft and long-wearing in polyester microfiber with polyester fill. Machine wash. Imported. Hurry! Quantities are limited!